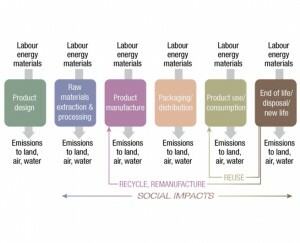 One of the financial benefits of a life cycle assessment is the ability to know the resale value of a product at various stages of its life. Part of a life cycle assessment is to collect as much pertinent data on a product at various stages of usefulness, and resale value is part of that data. The company can decide when an appropriate time would be to sell off a product after it has achieved its maximum return on investment. Operating costs vary depending on the product, and those costs can have an impact on your company’s productivity and profitability. If you cannot afford to maintain your equipment properly, it will not operate at its maximum efficiency, and it is more likely to break down due to wear. A life cycle assessment allows you to plan for the expense of operating equipment at every stage of the product’s life. A life cycle assessment can help a company determine whether it is prudent to upgrade to a new product. If the current equipment is operating properly, and the life cycle assessment indicates that the company can get several more productive years from the equipment, it may be better to delay an upgrade of the product and invest the money elsewhere. If the equipment is reaching the end of its useful life cycle, then an upgrade can be considered. For further information Click Here or Contact us Today.